Significant overall performance improvements in the APL+Win interpreter were made available to APL2000 customers. Many customers experienced doubling of overall interpreter performance while maintaining complete compatibility with existing application system source code. Optimized Catenation in APL+Win 13.1 provides significant performance gains, particularly in cases that involve repetitive catenations with large arrays such as inside an iterative control structure. Traditional catenation runs exponentially slower as the number of iterations increases, making it impractical to use in some real-world applications. The Optimized Catenation function has nearly linear performance characteristics as a function of the number of iterations and volume of data making it an elegant solution that is blindingly fast. This graph represents APL2000 testing results. APL+Win v13.2 includes the APL+Win C# Script Engine (CSE). With the CSE enhancement an APL+Win programmer can merge the benefits of .Net technology with the power of APL+Win. Direct access to the .Net Framework from APL+Win is now available while maintaining complete compatibility with existing APL+Win-based application systems. Create utilities using .Net features for use in APL+Win application systems. Create and present Windows Forms or Windows Presentation Foundation GUI’s. Use the .Net web tools to access and capture web-based information. Access Microsoft Office using .Net tools. Use third Party .Net tools in native C# format from APL+Win. Use ADO.Net to access databases such as Microsoft (SQL Server, Office), Oracle, IBM (DB2, Informix, U2), SAP (Sybase), MySQL and SQLite. APL2000 developed the □cse system function as an interface to the APLNext C# Script Engine for APL+Win. APL+Win application system programmers can now access the features of the Microsoft.Net Framework directly from APL+Win. The CSE enables an APL programmer to create multiple instances of the CSE object in memory space separate from that of the initiating APL+Win instance. With the CSE, APL+Win data can be passed to a C# object, where it can be manipulated using the extensive Microsoft .Net Framework and the result can be returned as APL+Win data. The APLNext Supervisor exploits available multiple processors on a workstation by automatically scheduling and controlling multiple instances of the APL+Win ActiveX calculation engine to significantly improve APL+Win application system performance. The APLNext Supervisor causes application programmer designated APL+Win functions to be executed in a concurrent, multi-threaded manner. The object model of the APLNext Supervisor provides for extensive control and monitoring of multiple threads directly from APL+Win. The APLNext Supervisor is available to all current APL+Win Subscription licensees at no additional cost. APL2000 consultants can assist APL2000 customers to determine if the APLNext Supervisor technology will produce significant benefits in an APL+Winbased application system. Easily Scalable - The APLNext Application Server can be scaled to multiple servers so that client requests are always satisfied promptly. Capable of handling client request which are independent and stateless or dependent and stateful. Easily tracked and, if desired, monetized on a transaction request level. Deploy the APLNext Application Server using Microsoft Internet Information Server (IIS) or as an independent web server. Please save the dates and mark your calendar now! 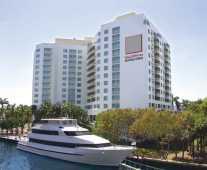 The conference will be held at the GALLERYone Doubletree Suites by Hilton, conveniently located on the Intracoastal Waterway, 8 miles from the Fort Lauderdale/Hollywood International Airport (FLL) and 3 short blocks from the Atlantic Ocean beaches. For more information on APL2000 products and services contact sales@apl2000.com.